The above words, from Civil War historian, Bruce Catton, were in my head as I headed down to Gettysburg in late June 2013. 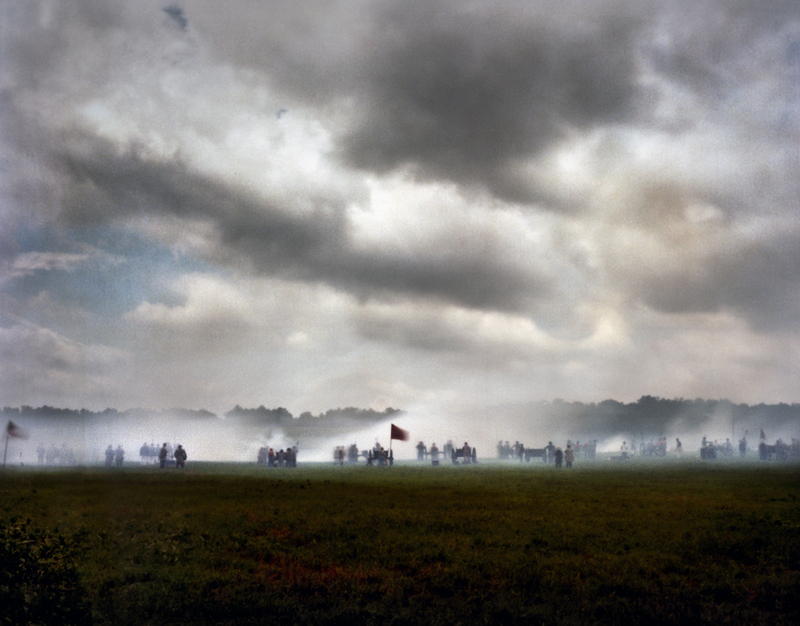 With the 150th anniversary of this famous Civil War battle in our midsts I would push the pinhole cameras to their limits attending two sesquicentennial reenactments and photographing extensively on this famous battlefield. 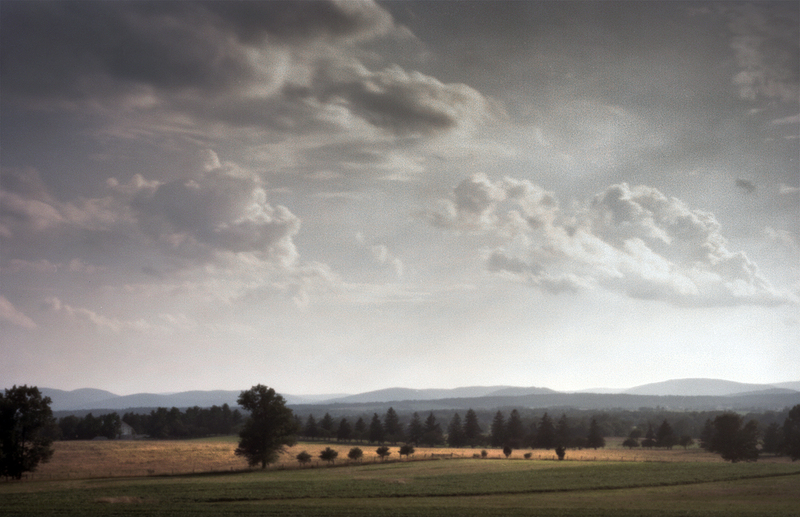 The Town of Gettysburg today is sort of a place locked-in-time. The battle that came to this small Pennsylvania town wound up being one of the turning points in our nation’s history. The fighting in July and the dedication of the National Cemetery in November 1863, in some way or other, caused the town to remain frozen in that time; reverentially cementing Gettysburg in the time of its greatest hour. 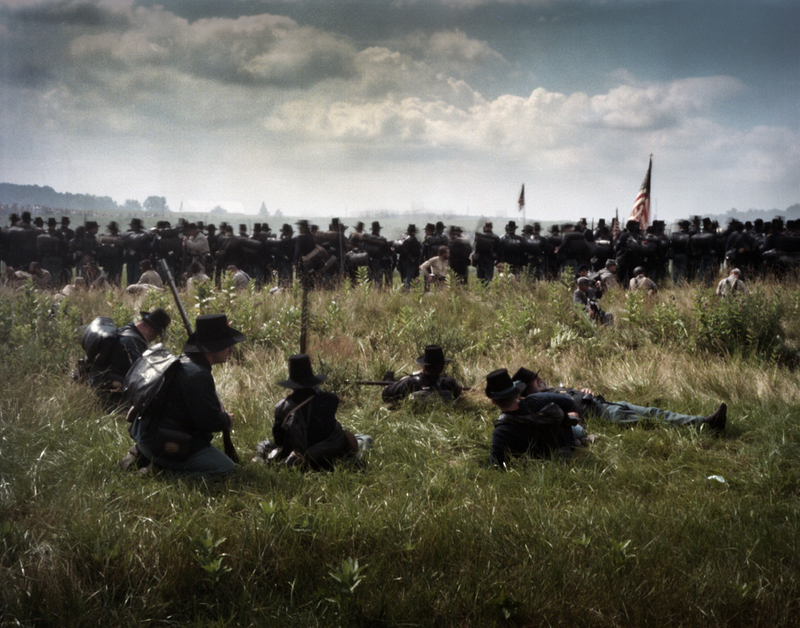 The battle subsides on “Cemetery Ridge” at Gettysburg 2013. 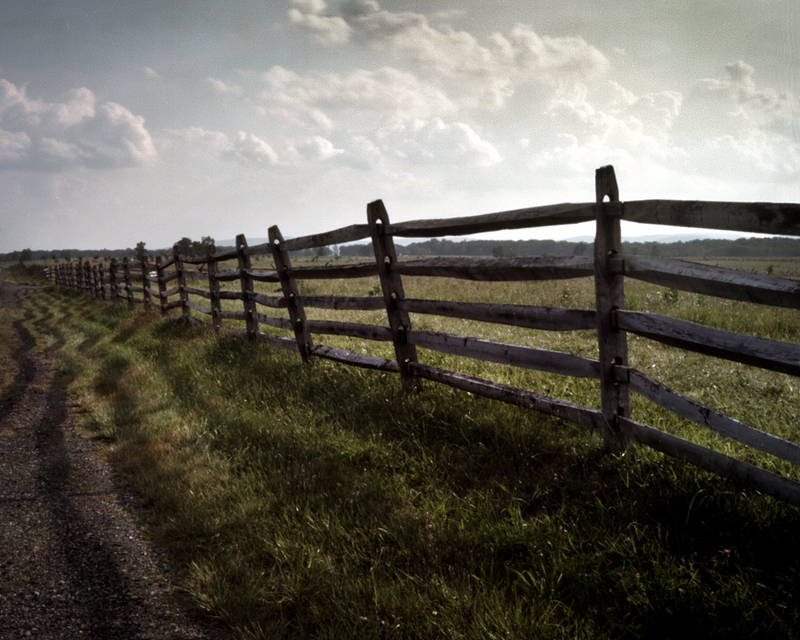 A central, converging point in the 1860’s, Gettysburg today is still a good hour drive from any major modern highway. Approaching the town, like 150 years ago, the two lane roads take you through some of Pennsylvania’s most beautiful countryside. Fruit and vegetable farms line the route in a landscape of rolling hills dotted with neat red barns and pastures. The same roads that brought the armies to Gettysburg in 1863, still lead to the town today. Although now paved in asphalt, these roads lead in from this abundant, rich region of Pennsylvania and is one of the reasons Robert E. Lee and the Confederate army could sustain themselves in enemy territory in the summer of 1863. 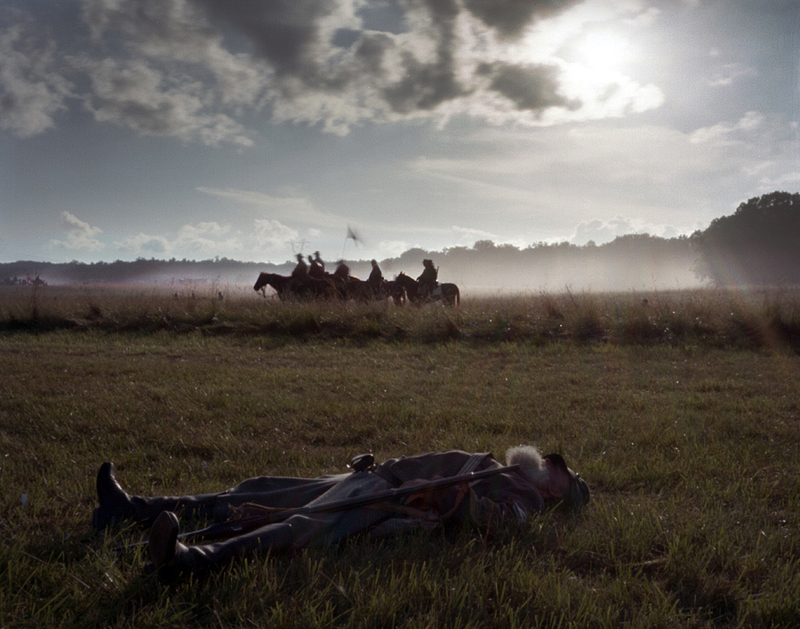 The battle that raged around Gettysburg, the shape of the battle, basically encompassed the town itself in 1863. Being such a monumental battle in the Civil War the battlefield at Gettysburg was protected and preserved soon after the fighting, so the town today is surrounded, hemmed-in by the 150 year old battle landscape. 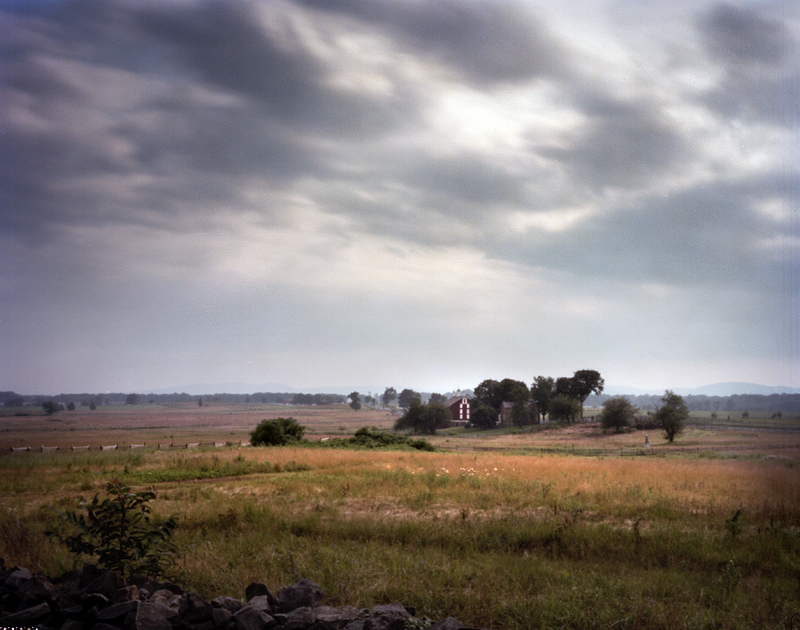 The battle raged through the small farms that dot the Battlefield at Gettysburg, PA 2013. Also, the Battlefield at Gettysburg is beautifully preserved today. 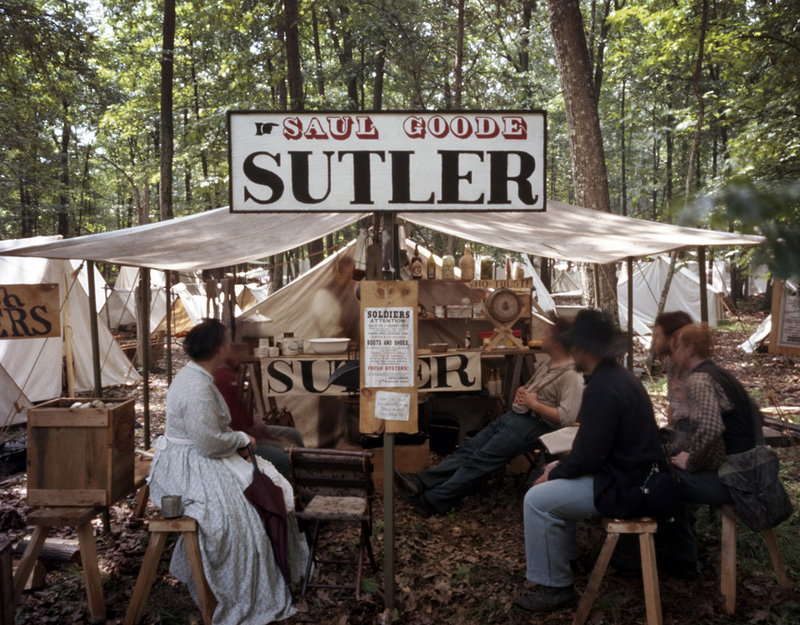 The 24 mile auto-tour takes you around the battlefield in the sequence of the three day battle in 1863. Hiking this battlefield can be amazingly revealing if you know even a little bit about this epic battle. 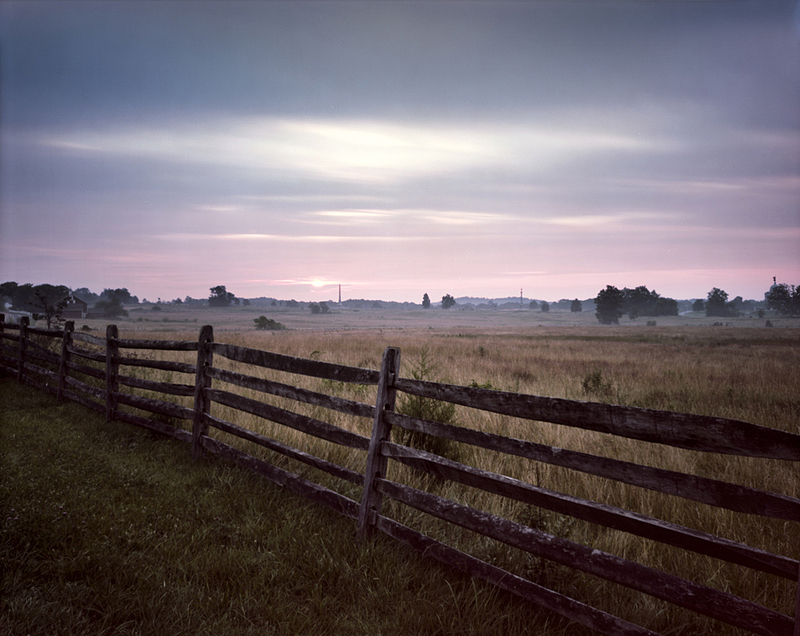 The Battlefield at Gettysburg is superintended by the National Park Service. 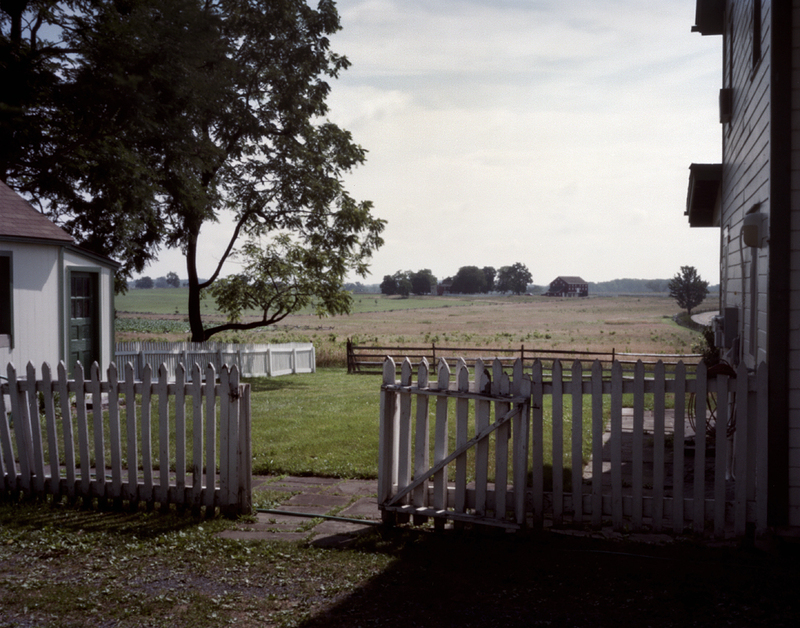 Pinhole camera images of the two 150th anniversary reenactments and the famous battlefield at Gettysburg, as well as, further reflections on the sesquicentennial events have been interspersed here in three separate “battle pages” added to the Civil War 150 Pinhole Project. The Armies Collide at Gettysburg! 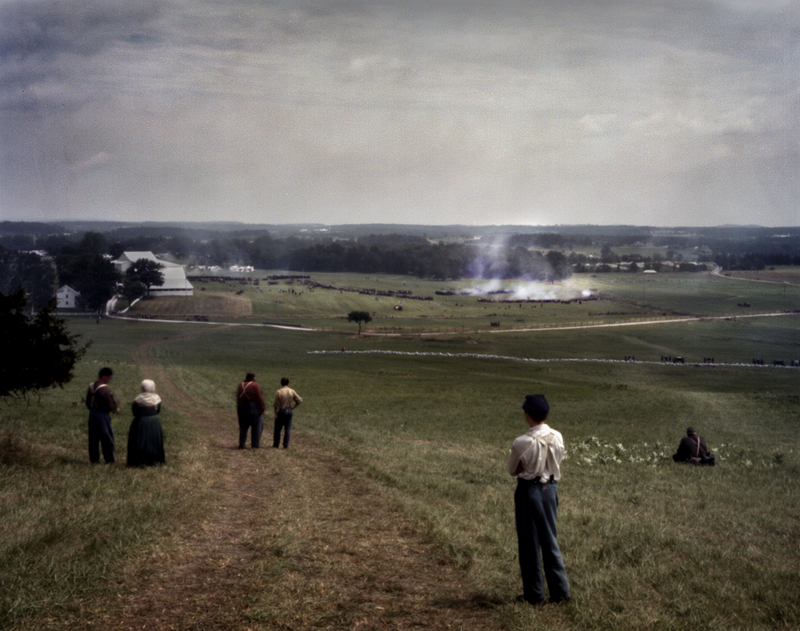 Citizens of Gettysburg watch as the Union and Confederate armies collide on the edge of their small Pennsylvania town. Over the next three days the very existence of the United States is at stake. The town of Gettysburg, with a population of just 5,000 residents, will see the two armies, numbering over 150,000 men, fight it out amongst the hills, fields and in the town itself. The battle will decide the fate of the Nation. 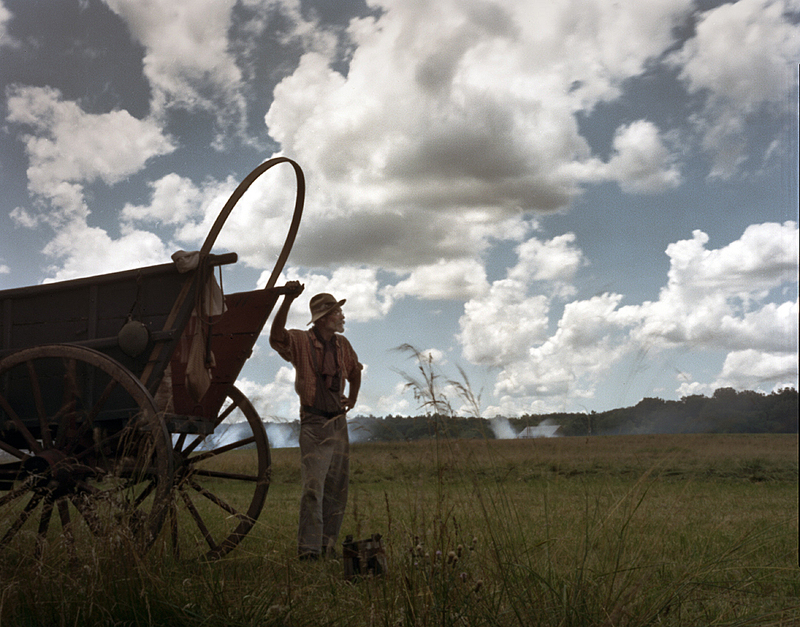 Confederate guns open up during the first days fighting at Gettysburg. 2013. 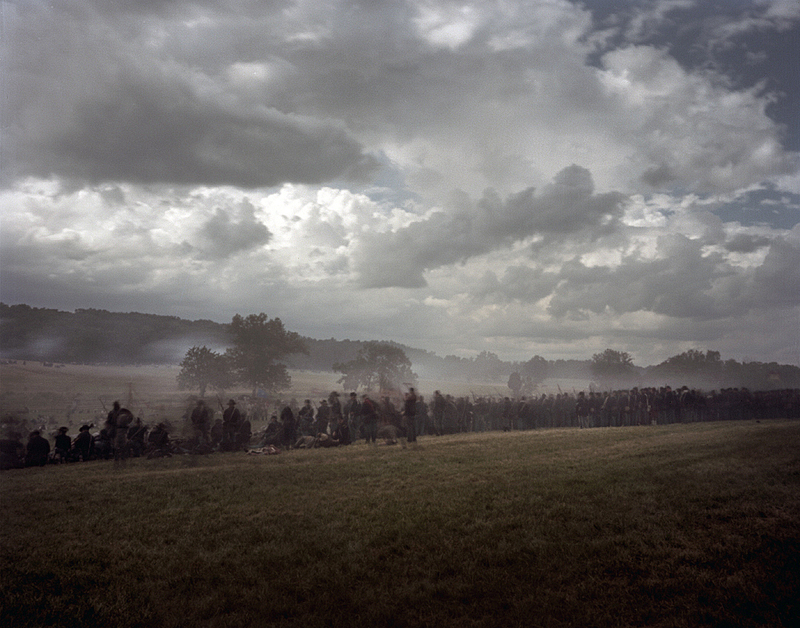 The Civil War 150 Pinhole Project, witnessed this first set of these epic battles, but will be returning to Gettysburg this week for the remainder of the fighting and an extensive tour of the famous battlefield. Please check back in late July 2013 for the complete coverage of three bloodiest days in American History; three days that determined the destiny of the Nation.